To enable PHP5 in Lighttpd, we must modify two files, /etc/lighttpd/modules.conf and /etc/lighttpd/conf.d/fastcgi.conf. The document root of the default web site is /srv/www/htdocs. 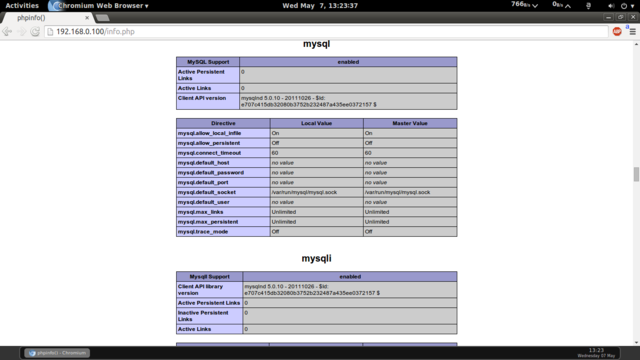 We will now create a small PHP file (info.php) in that directory and call it in a browser. 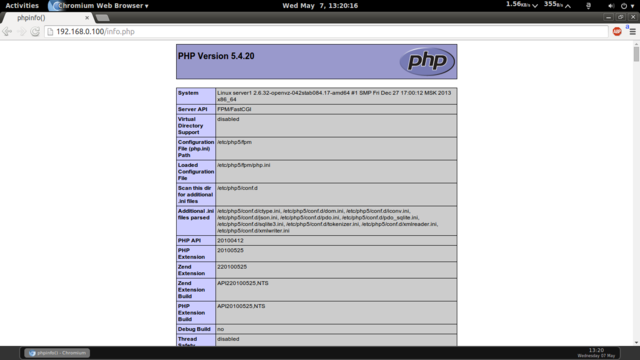 The file will display lots of useful details about our PHP installation, such as the installed PHP version.